In 2019, consolidating your student loans can save you some serious money, but it’s important to keep in mind that Direct Consolidation Loans are not always in everyone’s best interest. When thinking about whether or not to consolidate your student loans, you’ll need to take a variety of factors into consideration. The purpose of this article is to walk you through the process of understanding exactly what direct consolidation loans are, when they make sense, and when they don’t. Keep in mind that consolidation your federal student loan debt could end up making you ineligible for some of the best benefits programs on offer, so it’s something that should be approached with caution. Do NOT fail to research the topic before consolidating, because that could end up costing you tens of thousands of dollars! Before I go through the process of Consolidation and explain what it’s all about, let me give you a quick word of advice: to save yourself both time and money, you should pay an expert for assistance with this process. The hardest part of the Student Loan Consolidation process is making sure that you’re doing the right thing, and in the right way, and that’s what a debt relief expert can assist you with. The problem with most student loan consolidation companies is that they’re full of scam artists, liars, and thieves. In fact, I’d bet that MOST of the student loan consolidators are total scam operations, so you’ll want to be extremely careful about who you choose to consult with. Fortunately, I can give you one number that I am 100% certain you can trust: the Student Loan Relief Helpline. This is the only company I refer my readers to, because I know that they’re 100% legitimate, and that they will be able to help you reduce your monthly payments, enroll in forgiveness programs, or pursue a student loan discharge. Your first call to the Helpline is free, and you’ll only ever be charged if you agree to let them work your loans for you, so you’ve got nothing to lose but a few minutes of your time. What Are Federal Direct Consolidation Loans? Direct Consolidation Loans are the end result of a loan consolidation process. When you consolidate federal student loans, that means you’re combining multiple student loans into a single, larger loan, which simplifies your monthly payments (leaving you with only one instead of multiple monthly payments). To summarize, the direct loans consolidation process is simple, free and it could end up saving you some serious money. How Much Does it Cost to Consolidate Your Loans? Consolidating Federal student loans is ENTIRELY FREE! Don’t fall for the scams out there offering to consolidate your Federally-funded student loan debt for a low price, like $500, or even $250. 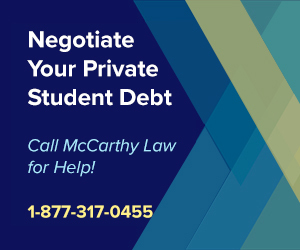 If you’re contacted by anyone offering to consolidate your loans for a price, you should know that you are not speaking with an approved U.S. Department of Education consolidation servicer, and you should not provide them with any of your personal information. Everything that these companies claim to be able to do for you can be done entirely on your own, without spending a single cent, so don’t waste money on their scams! Do not pay anyone to consolidate your loans, or to review your account to see if you are eligible for a loan consolidation. These people and companies are scam artists, some of whom may be attempting to steal your identity, so be extremely cautious when dealing with them. As mentioned above, there are a variety of factors that need to be taken into account when you’re choosing whether or not to consolidate your Federal student loans. Unfortunately, it’s virtually impossible to answer this question with a simple “Yes” or “No”, since that depends on so many different variables – how much you owe, what types of loans you have, what your current and future financial outlook might be, etc. However, keep in mind that the main reason most people consolidate their loans is to reduce monthly payments, or to reduce the complexity of tracking their total outstanding debt. By wrapping a bunch of little loans into one larger loan, you may be able to extend your loan term or modify your loans in other ways that will end up saving you money on monthly payments, but it’s virtually always going to end up costing you more in the long-run, since paying back a loan over a longer period of time means that the loan will rack up more interest along the way. Sometimes, consolidation really is a magic bullet, allowing you to reduce interest rates, package up a bunch of small loans into a much more convenient single large loan, and end up saving you money both in monthly payments and in the long-run, but this is rarely the case. To determine if a Direct Consolidation Loan is right for you, you’ll need to analyze your options, speak with your lender (or lenders) and make some calculations to figure out how consolidation will affect your finances. 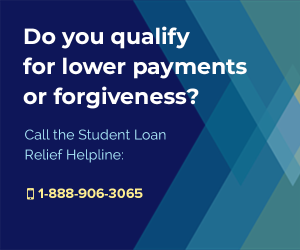 Don’t forget that you have other options too, with programs like Forbearance, Deferment and Forgiveness all available for Federally-funded student loans. Look into all the available options before agreeing to a Direct Consolidation Loan, because consolidation cannot be undone, and it’s possible that you may have better alternative opportunities. Who Is Eligible For Direct Consolidation Loans? 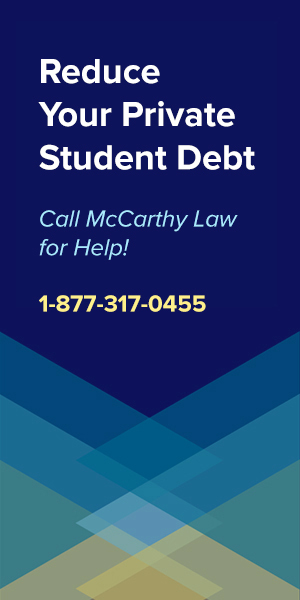 If you have multiple Federally-funded student loans, including at least one Direct Loan, or Federal Family Education Loan (FFEL program loan), then you are eligible to consolidate your student loan debt. All loans in grace periods, or which have repayment status, are eligible for consolidation, and loans in deferment or forbearance periods count as being in repayment. Some defaulted Federal student loans may also be consolidated, but only if you first establish agreeable repayment arrangements with whoever currently services your loan, or if you agree to repay the new Direct Consolidation Loan using one of the Income-Based Repayment Plans (the Income Contingent Repayment Plan, the Income Based Repayment Plan, or the Pay As You Earn Repayment Plan). Please note that loans in an in-school status cannot be wrapped up into a Direct Consolidation Loan. Please note that there is currently no way to Refinance Federal Student Loan Debt, but that there are multiple bills in Congress (including Senator Warren’s Student Loans Bill) seeking to address this issue. For those of you who took out loans in the 80’s, 90’s, or early 2000’s before interest rates plummeted, the ability to refinance your loans would be a major boon, so be sure to write or call your Congressional representatives to show your support for Senator Warren’s bill! Please also note that Private Student Loan Consolidation works entirely differently than Direct Consolidation Loans, with far less legal oversight that can result in skyrocketing (or plummeting) interest rates, depending on market conditions. If your loan is not listed above, that doesn’t necessarily mean it’s not eligible for consolidation, but you’ll need to check with your lender to find out. Is Having a Direct Loan a Requirement? As we mentioned above, it is possible to get a Direct Consolidation Loan as long as you have at least one FFEL program loan. You do not necessarily have to already have a Direct Loan in order to qualify for receiving a Direct Consolidation Loan. Can You Consolidate Private Loans With Federal Loans? This is an extremely important point to keep in mind, and one that many people seem to miss. Direct Consolidation Loans can only include loans that were Federally-funded, meaning loans that were provided through one of the Federal Government’s student loan programs. 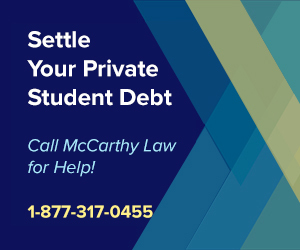 Any loan that was issued outside of these programs (referred to as “Private Student Loans”) is not eligible for inclusion in a Direct Consolidation Loan. It is, however, possible to Consolidate Private Student Loans, but it’s done in an entirely different way. If you’re having trouble paying off private student loan debt, please visit our page on Private Student Loan Relief. Can You Consolidate PLUS Loans? PLUS Loans may be consolidated into a Direct Consolidation Loan, but if you want to consolidate a Parent PLUS Loan, then your new Direct Consolidation Loan will not be eligible for the Income Based Repayment Plan. This is potentially devastating, and could end up dramatically increasing the amounts of your monthly payments, so be sure to take this factor into consideration before making the decision to consolidate your Federal student loans. Can You Consolidate Perkins Loans? You can definitely consolidate a Perkins Loan into a Direct Consolidation Loan, but only if the new Direct Consolidation Loan includes at least one Direct Loan or FFEL Program Loan in the request. Perkins Loans themselves cannot be combined into a Direct Consolidation Loan, and unfortunately, any Perkins Loans wrapped up into Direct Consolidation Loans will be included in the unsubsidized portion of the Direct Consolidation Loan, meaning borrowers will be forced to sacrifice any subsidies they’ve been previously enjoying on their Perkins Loans. That last point is a big one, and should be weighed carefully before deciding to consolidate a Perkins Loan. Can You Consolidate In-School Loans? It’s not possible to consolidate any Federal student loans that have the in-school status, including any loans that have not yet completed their 6 month grace period (or 9 month grace period for Perkins Loans). Can You Consolidate Loans in Deferment? Loans in deferment are eligible for inclusion in a Direct Consolidation Loan, including loans that are currently in an in-school deferment status (this sort of violates the in-school rule above, but it’s accurate information). Can You Consolidate Loans in Forbearance? Loans that are in forbearance remain eligible for consolidation, which could be extremely useful in certain circumstances. Can You Consolidate Loans in Default? When you consolidate loans that were already in default, and which have incurred collection costs, it’s possible that those charges will be incorporated into the total balance of your new Direct Consolidation Loan. This occurs when the holder of your defaulted loan (or loans) has paid a collection agency to come after you for the money you owe, and the collection agency has charged the original lender (the U.S. Department of Education or one of their Guaranty Agencies) for the work they did to come after you. Unfortunately, your new Direct Consolidation Loan would include collection costs up to 18.5% of the principal and interest that remains outstanding on your defaulted loan(s). And it’s even worse for defaulted Perkins Loans and Health Profession Loans – where collection costs can be as high as the total amount owed at the time the defaulted loan gets paid off through the consolidation process. What does that mean to you? Be careful about consolidating defaulted loans! Instead of consolidating a defaulted loan, it’s a much better idea to rehabilitate the loan first, then consolidate it once it’s back in repayment status. The note on your credit score that your loan was in default, then “paid in full”, will remain on your credit record for up to seven years, potentially ruining your eligibility to take out any future loans like mortgages, auto loans, or even credit cards. By rehabilitating your defaulted loan before consolidating it, the loan holder will update your credit record to remove the default status from the loan, allowing you to clear your credit score and improve your standing with potential lenders. The only way to make this happen is by contacting whoever is currently servicing your loan (the institution you’re issuing monthly payments to) and working out a schedule with them. Keep in mind that they have access to all of your financial information, and that they will be willing to work with you on reducing your monthly payments, but only up until a certain point. If they think you’re wasting money on new clothes, expensive trips, or frivolous personal items that aren’t necessities, then it’s going to be extremely difficult to get them to negotiate a much lower monthly payment. The good news is that by rehabilitating your defaulted loans, you become immediately eligible for all sorts of other important Federally-funded benefits, like the Obama Student Loan Forgiveness Program, the Public Service Loan Forgiveness Program, and other financial assistance opportunities. Can You Consolidate Loans in Grace or Repayment? Any loans that are in either grace or repayment, including loans in deferment or forbearance, may be rolled up into a Direct Consolidation Loan. However, keep in mind that as soon as the loans are consolidated, you’ll lose any remaining grace period time that was left, unless you’ve requested to delay the processing of your consolidation loan application. You will end up receiving your first bill within 60 days following approval of your new Direct Consolidation Loan. The biggest reason to consolidate loans in a grace period is that if your loan was one of those disbursed before July 1st, 2006 which came with a variable interest rate (lower during the grace period), then consolidating that loan may result in a lower interest rate on your new Direct Consolidation Loan. Obviously, reducing your interest rate is a compelling reason to consolidate your loans, so if you’re one of the lucky people who are facing this situation, we would absolutely recommend consolidating as soon as possible. 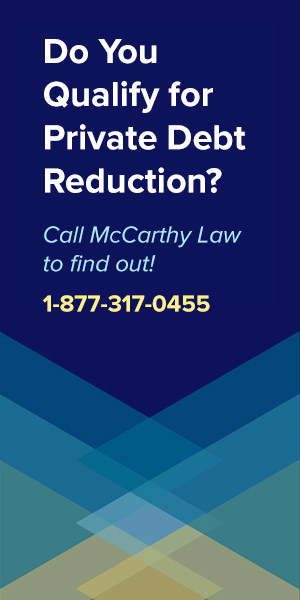 Can You Re-Consolidate An Existing Direct Consolidation Loan? Fortunately, you’re not limited to a single consolidation, and you can roll up a previously consolidated loan into a new one, as long as you’ve got another eligible loan to add into the mix. Additionally, it’s possible to add loans to an existing consolidation for as long as 180 days after your Direct Consolidation Loan was disbursed, so everything doesn’t have to be wrapped up all at once. However, keep in mind that you cannot re-consolidate an existing Direct Consolidation Loan without adding new eligible loans. Can You Consolidate Federal Consolidation Loans? Can I Consolidate My Loans With My Spouse’s Loans? Even if you are married and filing taxes jointly, it’s not possible to combine loans into a single Direct Consolidation Loan and pay them off as joint borrowers. How Long Does it Take for My Application to be Finalized? Typically, it takes 60-90 days for your application to get approved and finalized. If you apply via the online application process, it’s possible to reduce that time frame and receive your approval significantly sooner, but that doesn’t always work. Can I Delay Processing My Consolidation Application? You can delay having your application processed to move the final approval closer to the end date for your grace period, as long as one or more of the loans you’re consolidating is currently in grace. Why would you want to do this? Because it helps you consolidate a batch of loans without having to become immediately responsible for repaying any of those loans that are still in grace. Remember, as soon as your new Direct Consolidation Loan is issued, any grace period left on any of your loans is immediately cancelled, and you become responsible for issuing repayment within 60 days. To delay your repayments coming due early by having the grace period ended, you’re able to choose a date of up to nine months in the future on your application, specifying that date as the time you want the consolidation to officially occur. If your grace period is more than 9 months away from ending, then don’t submit your application yet, because you’ll end up losing out on some of that grace time, which would have saved you money in the short-term. To request a delay in your processing, simply enter the expected grace period end date when submitting your Direct Loan Consolidation application. If you leave that part blank, then your application will be processed immediately, and you’ll end up losing whatever grace period was left on your eligible loans as soon as processing has finished, so be careful! Once your application is approved and your Direct Consolidation Loan is disbursed, you will receive your first bill within 60 days. Your payments will be due monthly, can be repaid under any of the eligible Repayment Plans available to you, and should be made by sending payment to whoever services your loan. You can make payments either via snail mail, or by enrolling in the Automatic Debiting system, which will give you a 0.25% discount on your interest rate as long as you continue to use it. Please keep in mind that failing to receive your monthly bill doesn’t mean your payments won’t be due, and that any changes to your address or name must be submitted to your Federal Loan Servicer in writing. Can I Prepay a Direct Consolidation Loan? You may prepay all or part of your remaining loan balance at any time, without prepayment penalties or other fees. If you make a payment that’s higher than your standard monthly payments, the excess amount will be applied to any charges or collection costs that you’re incurred, then to outstanding interest, and finally to principal. If you have no outstanding interest, then your prepayment will be applied entirely to the principal balance left on your loan. If your prepayment amount is more than twice your typical monthly payment, then your next payment due date will be advanced, unless you specify otherwise. You’ll be notified of a revised due date if that occurs. I wish I could point you to some URL or form where you can start the application process, but because it’s different for each lender, you’ll have to find those on your own. The first step to getting your Direct Consolidation Loan is calling your lender, letting them know that you want to consolidate, then asking them for instructions on how to complete the process. If you have any questions that weren’t answered above, please feel free to post them in the comments section below. I’ll do my best to respond within 24 hours, and if I can’t answer your question directly, I’ll send you to someone who can. 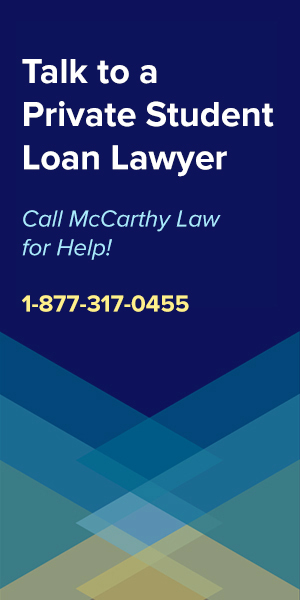 Alternatively, feel free to contact the Federal Government’s official Loan Consolidation Information Center, which you can reach by calling 1-800-557-7392. If you’ve found this information useful, please share it with a friend! Like us on Facebook, Tweet out a link to this page, +1 us on Google+ or simply IM or email our site to your friends and family. We rely on support from visitors like you to keep the lights on around here. I am an ARMY veteran of 14 yrs, and have worked for the VA hospital since 2004 (the only place benefiting from my education). I have been faithfully paying since 10/12/2012. Do u know of any other options for me? There are lots of repayment plans… look at my page on the Income-Driven Repayment Plans for details on the IDR plans that let you qualify for PSLF. And look at my main page on the Public Service Loan Forgiveness Program for details on how the program works. Your questions make me think you don’t understand how this works at all, so I think you need to read up on everything first. My spouse and I did consolidate our federal student loans and it has been a nightmare! We have been divorced for 10 years and at that time the loan balance was $84,000. The judge ordered me to be responsible for only my portion which was 16k. He went to med school so all the loans went to a higher interest rate which I was unaware of and the entire balance remains on my credit report today. It was consolidated with sallie Mae and is now at navient and I’m told there is no way to remove my name from his balance and will be financially tied to him and have this on my credit report until he pays his balance in 2036. He pays the lowest payment possible. Please help!!!! I think you’d better speak to an attorney about this because it’s more a legal matter than a student loans concern. I would absolutely recommend talking to a lawyer and seeing if there’s anything they can do to threaten Navient and force them to use the Court Judgement to remove your name from the debt. How long after you are approved can you get a letter stating your loans are no longer in default? Trying to go back to school and receive financial aid. It’s hard to say because the timing works out differently for different people. It could take days, weeks or months, but I’d follow up with the Department of Education and see if you can get someone to clarify exactly when you’ll know whether or not you’ve been approved. 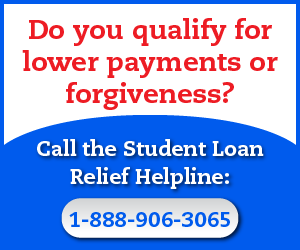 You’re probably eligible for some for of forgiveness IF you can get your loans current again. 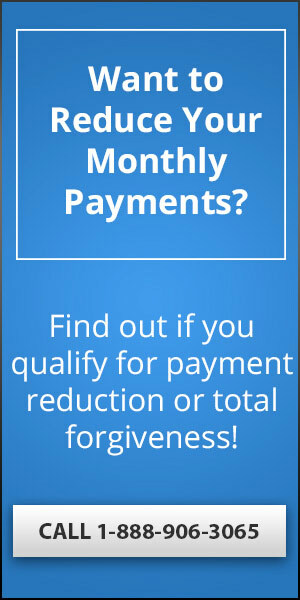 Most of the forgiveness programs do not allow you to qualify for any benefits if you’re in default, so the first step would be getting your loans back in good standing. Also, did you try discharging the loans via Bankruptcy? It’s probably too late now, but I always want to hear about experiences with those attempts, as it’s gotten easier and easier over time to use Bankruptcy to get rid of student loan debt (though it still requires pretty extreme situations, like being literally on the point of losing everything). Because you’re in a tight spot, my recommendation is to call the Student Loan Relief Helpline and ask them what they think you need to do. You can reach them at 1-888-906-3065.
i was curious as to how long it took from the time one applies for a student loan consolidation till the time that he or she finds out if It was granted or denied and if it takes them off of your credit report…My student loans are the only bad thing on my credit report and its killing me…I have about $55000 in defaulted student loans but everything else is paid up and current or paid off. The bad thins is that I couldn’t even get a job when I graduated college so basically I paid 50 Grand to a school for a degree that I am not using and have a job that I could’ve gotten without it and saved a ton of money. What exactly is college good for again??? Stupid college recruiter.. Consolidation shouldn’t take long to occur, but if your loans are in default status, Consolidation isn’t always an option. Are your loans Federal or Private? And who did you contact to do the Consolidation? If you’ve got Federal loans, it could take a bit of time to get the response, but if you’ve got Private loans, it should be an immediate thing. 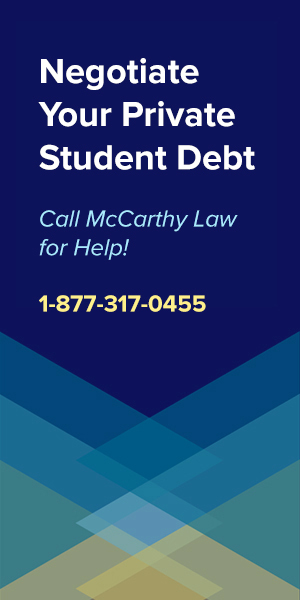 One thing you could consider is calling the Student Loan Relief Helpline to ask them for some assistance in dealing with your loans. Since you’ve got $55,000 in debt, I think it’s worth hiring an outside expert to help you take care of this. It’ll probably cost a few hundred dollars, but they may be able to save you thousands, or even tens of thousands of dollars, especially if you can qualify for something like a Borrowers Defense Against Repayment Discharge, or one of the many Federal Loan Forgiveness Programs currently on offer. I have been a teacher’s aid at a Title 1 school for ten years and bring home less than $800/mo. I graduated five years ago but have not yet obtained a teaching position. I have exhausted all options (hardship deferments and forbearance) and need to enter into a repayment plan. If I consolidate under the IBR plan, will I still be able to be considered for the public service forgiveness program? In addition, if I get a teaching position, will I need to change my consolidation to IDR to be on track for teacher loan forgiveness? I have $40,000 in student loan debt accrued after 2007. Also, can you tell me anything about up-front loan forgiveness? One of the for-profit consolidation helpers offered this, of course after 6 months of paying them $250/mo. BE VERY CAREFUL! Consolidation your student loan debt can end up removing your eligibility for all the awesome Federal Relief Benefits currently available, from Forgiveness, to Deferments and Forbearances. I would not consolidate unless you had a sound financial reason for doing it. 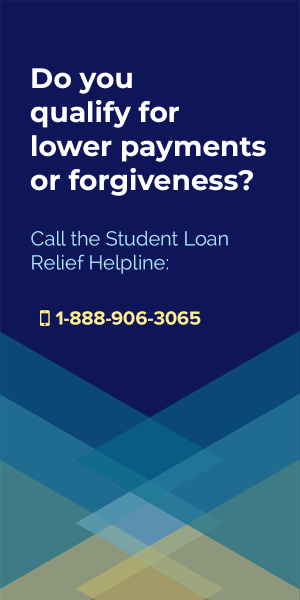 To your question about getting forgiveness, I would contact the Student Loan Relief Helpline (call: 1-888-906-3065) to ask them for advice on dealing with your debt. 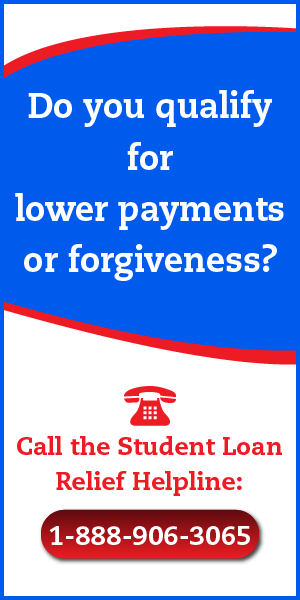 This company offers products and services to help you reduce monthly payments and work toward loan forgiveness, and you could probably get some free advice from them by calling them up. I wish I could give you a better suggestion, but I don’t want to steer you the wrong direction, and would prefer to leave that part to the true top-of-the-mound experts.